Welcome to our web site. We are a full service marine retailer selling both new and used boats with a factory authorized repair and service shop. Please browse around our site to get to know us. If you are looking to purchase parts or accessories online, make sure you check out our Online Store, have the item you purchase shipped right to your front door. 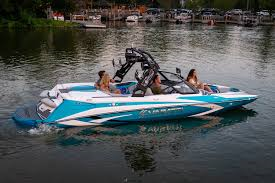 If you are looking for a new or used boat, check out our interactive Boat Inventory section. There you can search for new or used boats by length and see pictures of many of them as well. Welcome aboard!